Puppies come in many shapes, sizes, and colors, but the one thing they all have in common is their cuteness! It’s no wonder so many people love them and actively seek out a puppy when they decide to add a new canine member to their family. And surveys show that a majority of Americans with pets think of those animals as family and treat them accordingly. However, families that buy that “puppy in the window” at a pet store are often dismayed to learn that their puppy has serious health or behavior problems. The sad reality is that most puppies sold in pet stores have been sourced from wholesale operations that put profits over their animals’ health and well-being. Typically referred to as “puppy mills,” these operations are focused on maintaining the highest possible profit margin. This means that their breeding dogs are kept in deplorable conditions where they are deprived of clean and healthy food and water, veterinary care, exercise, and socialization with humans. The adult females are bred as often as possible without regard for genetics and heritable conditions. Once the adult dogs are no longer useful for breeding, they are often abandoned or dumped, sold at auction, or sometimes allowed to go to a rescue. 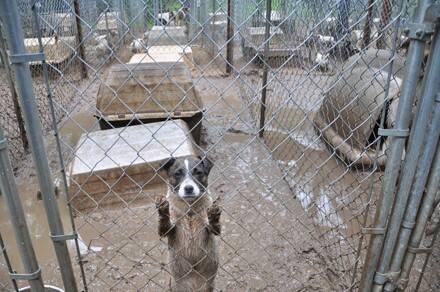 The puppies are kept in similar conditions until they are shipped to a retailer or sold via the internet. They are not socialized to humans nor raised in a typical home setting, making their transition to their new families that much more difficult. Puppy mill puppies often suffer from various illnesses, parasites, and behavioral and genetic problems, and they are sold to unsuspecting members of the public. Their new families often spend thousands of dollars for veterinary care and/or behavioral rehabilitation and sometimes have to face the ultimate heartbreak when their efforts are unsuccessful. Puppy buyers are often lulled into a false sense of security when they hear that the pet store puppy they want comes from a USDA-licensed breeder. The USDA is charged with enforcing the Animal Welfare Act and related regulations, which apply to dog breeders with more than four breeding females that sell puppies through retail stores or via the internet. While we should be able to place trust in the USDA regulation process, unfortunately, that process is not as thorough, consistent, or stringent as it needs to be to protect animals in breeding facilities. The Office of Inspector General and Congress have both called on the USDA to do a better job enforcing the Animal Welfare Act and related regulations to protect dogs and puppies in commercial breeding operations. You can read a letter two Congressmen sent to the USDA on this issue here. If you choose to purchase a puppy, please follow these important pointers for finding a reputable breeder. But please keep in mind that purebred dogs are also available in animal control and animal protection shelters and through rescues, some of which focus on a particular breed. You may also find that you fall in love with a mixed-breed puppy with the perfect temperament for your family or an adult dog who already knows things, like not to chew on your shoes, and who is housebroken! Whatever you decide, the most important thing for your sake and the sake of your future companion is that you do your homework about what is best for you and for them. Please don’t support the puppy mill industry, which isn’t good for anyone except the unethical breeders running it.